Service Department | Donahue Brothers, Inc. Being your source for your favorite brands is a win-win for both of our businesses. We understand our customers and quality products. 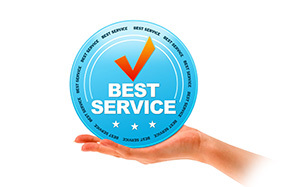 We strive to deliver the finest most efficient service to you. How can we help? Contact our office to talk with one of our specialized sales representatives. Leave your contact information with our customer care representative and you will be contacted by the salesman assigned to your geographical location within 24 hours. We service coffee equipment and hot chocolate equipment within our geographical region. Donahue Bros, Inc. coffee customers are our highest priority! For our valued coffee customers, we provide parts, service and no travel or service fees apply! Do you have questions or comments? We are always interested in hearing from our customers. We have staff on hand to assist you. MA 978-685-5806 or 1-800-322-3900 NH & Southern ME 1-800-225-0506. At Donahue Bros, Inc., we are here to assist you in all your business needs. All accounts are COD until a Credit Application has been completed, reviewed, and approved. Please complete, and return this form along with your credit references and financial statement. You have the option to fax the forms and purchased orders to 978-685-6137 or you can give them to your assigned Sales Representative. For further assistance please call us at MA 978-685-5806 or 1-800-322-3900 NH & Southern ME 1-800-225-0506.